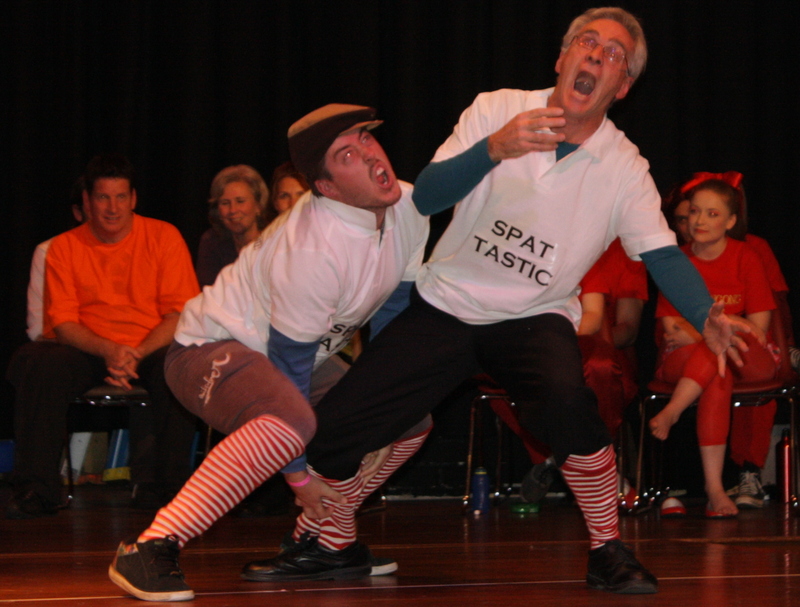 Stanwell Park Arts Theatre, known as SPAT started 40 years ago by a group of Stanwell Partk residents who were eager to build a community culture and an opportunity for their children to be on stage. Operating out of the CWA, the group has recently celebrated 40 years of theatre shows, pantomimes and movie nights and have gathered a loyal following in the north of Illawarra. A Playmates foundation company, SPAT have been a highlight of every Playmates production since it started nine years ago, and this year sees the return of their most popular personalities who are hungry to take the trophy north for their first time. 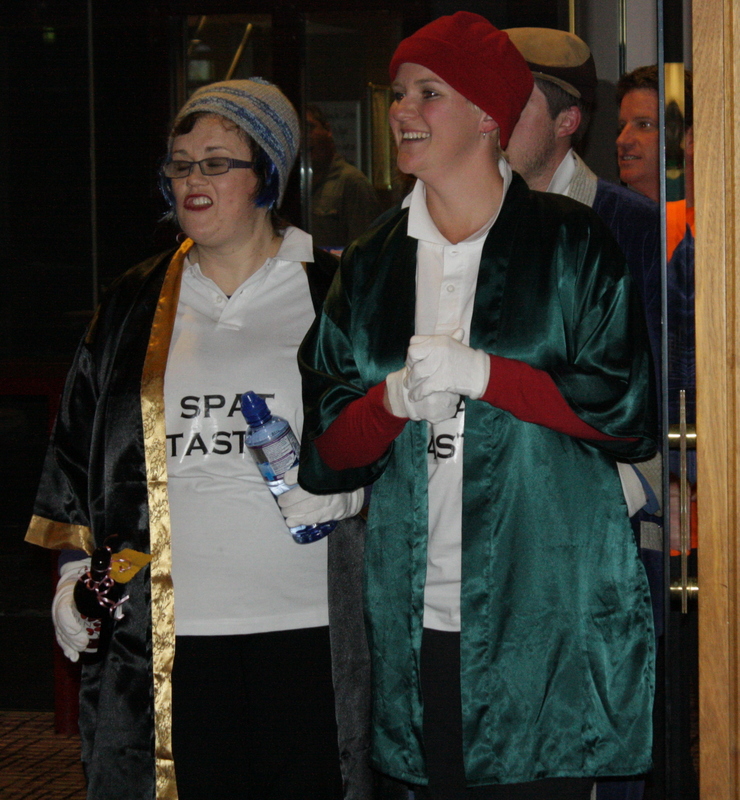 Last year, SPAT were voted as People’s Choice winners, the favourite team as voted by audience judges. Captain Rebecca Barrow’s team look very strong, and are fearless, electric, passionate and experienced in the Playmates arena. Team: Rebecca Barrow (Captain), Cameron Campbell, Bernadette Le Mesurier and Mark Rylander. Rebecca performs with a variety of theatre groups in the Illawarra and has earned great respect for her ability on stage and her fun, professional nature. Her home is with SPAT however, as that is where she first became involved with the theatre as an adult. She has performed in a variety of shows from blackbox theatre, musicals to dramas. Rebecca has been one of the highlight performer in Playmates, and now returns for her third experience at the improvisation showcase. She is always fired up for battle, and loves the friendly rivalry that has made Playmates a special production. While still daunted by some of the challenging Playmates games such as Opera, she loves the opportunity to test herself under pressure, and never fails to satisfy! This year, she sees victory within her grasp, but always keeps an eye on that famous Playmates team from the south, who she believes are always a chance of taking the trophy home. If I had a super power, I’d love to be able to fly. Seriously, who wouldn’t want to fly? Cameron has been involved in theatre since he was in primary school and continues his passion for performance. In recent years, Cam has been heavily involved in community theatre in the Illawarra, not just out of his home company in Stanwell Park but also for many other groups, particularly Wollongong Workshop Theatre (One Flew Over the Cuckoo’s Nest, Migratory V). For over 13 years he has been involved in various productions being pantomimes, full length productions and one act plays. This year he has taken on the challenge and the important role of President of SPAT, taking over from much loved Wayne Turner who has helped steer the SPAT ship. Cam has earned the respect of his peers and looks forward to guiding the group into new directions. Not only has Cameron been a part of community theatre he has also had a strong influence at school where he teaches musical theatre as part of the schools creative arts curriculum. This year he directed and produced a production that involved 550 students. A thoroughly enjoyable, albeit tiring experience for Cameron. Cameron has appeared in more Playmates than any other person since its inception, and is preparing for his 7th appearance in the show. Bernadette’s acting career began at age 11 when she was cast in the feature film “Ginger Meggs”, and shortly after had a walk-on part in “Burke and Wills”. These led to a larger part in a Transport NSW information film “Dangerous Journey.” She performed in two school musicals “Dazzle” and “Pirates of Penzance”, and was in the chorus of a local production of “Fiddler on the Roof”. After that she became an adult and decided to work in the real world for a while. Finding the real world somewhat wanting, she rekindled her acting career with Stanwell Park Arts Theatre in 2008, and they haven’t been able to get rid of her since. She’s been a chorus member, a puss in boots, an evil cardinal, several somewhat disturbed females, and a wannabe lesbian as well as assorted other characters which all seem to have extraordinarily weird names, and sometimes hideous costumes. She’s been known to sing and dance on stage (often at the same time!) whether or not anyone particularly wanted her to at the time. She started improvisation theatre in 2011, twice appearing on the SPAT team for Playmates. 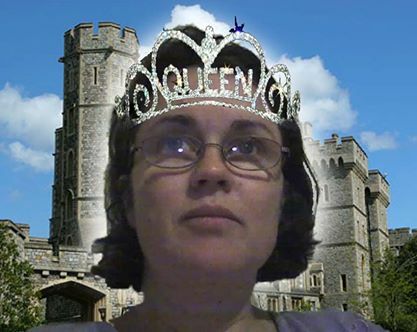 She’s also declared herself Queen of Australia, and can be found holding court on Facebook. She’s currently seeking a suitable tiara. Returning for her third Playmates appearance, she is excited at the prospect of all the games including the new options available to the teams.